Yesterday, I posted about Noelle + Joey's wedding day. Here are the pictures from the reception. All photos are by Michele Rivera from Mischa Media. 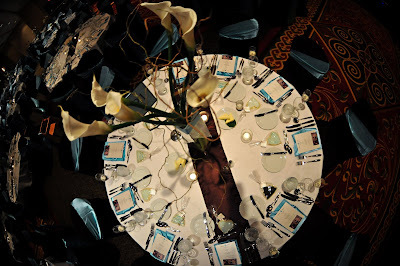 The tables were dramatic with brown and turquoise accents. 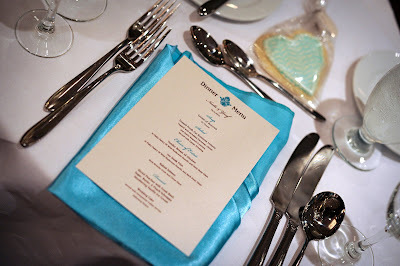 The menus were designed by Amanda from Made with Love Paperie. 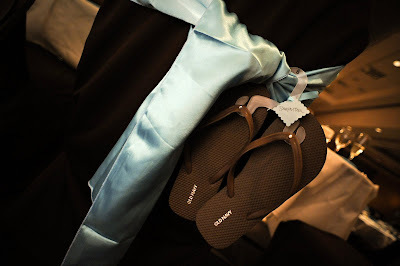 Noelle had flip-flops for each of her bridesmaids so that they would dance all night long. 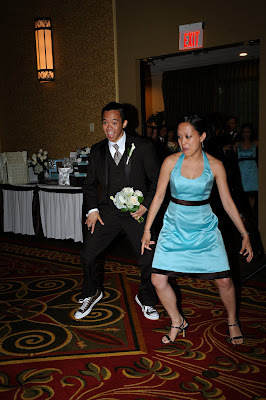 The bridesmaids and groomsmen each came in to the room with their own funky dance. 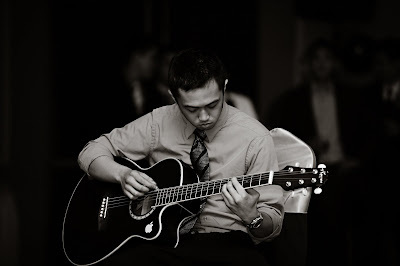 One of their close friends performed a solo during the entree course. 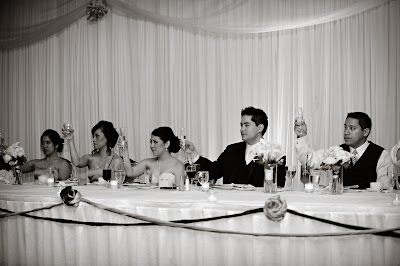 The couple raise their glasses to the toast from the Father of the Bride. 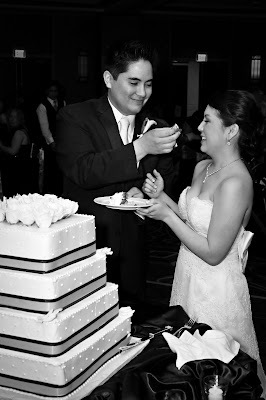 Noelle and Joey chose a contemporary square cake: a swiss dot pattern was anything but simple with ribbon wrapped around each layer and roses on the top and rose petals around the edges. 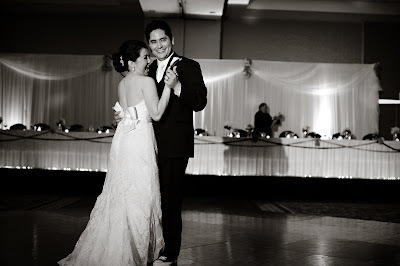 The couple's first dance. Don't you love the bow on the back of Noelle's dress? 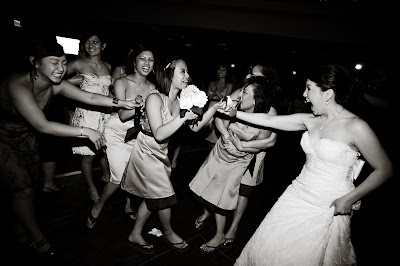 It's becoming more rare these days but Noelle had a bridal bouquet toss. There were plenty of single ladies out on the dance floor. 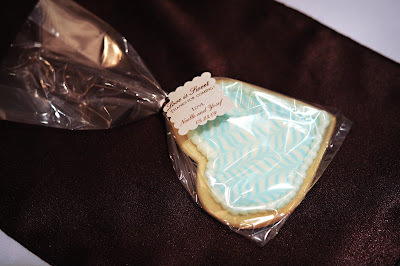 What is a sweeter way to say goodnight than a cookie? LOVE the centerpieces!! Beautiful wedding.